Lately, I have been experimenting with Julian Bakery products. Their “Bible Recipe Bread” requires an old-fashioned kitchen tool called a bread knife. This fact alone means I have gone off the “deep end” because of the intense labor involved just to get one slice of bread. I like it! Wheat has an acidifying effect on the blood stream. My reaction to this information is not to “purify” myself of wheat but to reduce wheat. Its function as a staple has to be replaced with others. My working set right about now is quinoa, greens and corn. Corn is the Native American maiden that is the foundation of North American mega-agribusiness. Corn makes the poisons ethanol and fructose possible. So it makes sense (to me) that I would ‘forget’ about corn. 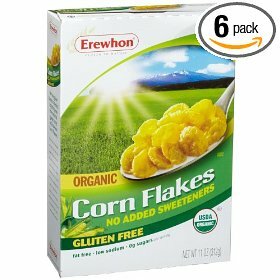 But I had to put the politics aside and see the alkaline benefits of organic corn—and a drop-shipment of Erewhon Corn Flakes Cereal, Gluten Free, Organic, 11-Ounce Boxes (Pack of 6) is on the way. My bulk buying is a crude 21st-century version of what my mother used to do back in the early 1970s. It is quite easy to buy a crate of fructose-laced ketchup at the local club market but buying bulk healthy items is more of a challenge. Currently, I am comparing unit costs at Amazon.com with the local stores in my area. 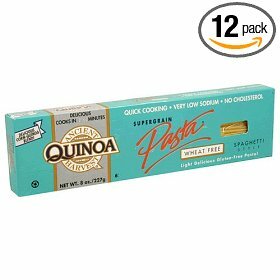 So clearly Amazon.com wins the corn-flake contest! Ideally, my bulk staple buying will be so successful that I will only have to buy a handful of perishable items (wild greens) at the local store—this goes back to the ideal of shopping with one wicker bag at the local grocer. My inner-city background in Los Angeles makes this an “ideal” for me. I consider it a refined luxury to be able to shop for small, fresh amounts daily at a local store. This American “freedom” and “liberty” is fleeting. I dare to dream of being able to find fresh “exotic” native African (with Native American) vegetables at a local Black-owned store—selling produce grown in neighborhood gardens—we’ve already had the Black Panthers—let’s add the Green Panthers. One of the biggest mistakes I’ve made in my adult-eating life was my embrace of soy products—celebrated in “Steady Hempin’ and Hawing: Dropping Soy Milk.” Let’s put it like this: I would rather eat whey protein than soy protein—and this is likely to happen when I can’t find hemp protein. 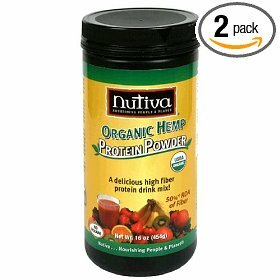 Until the mafia boys at Monsanto shake down Jeff Bezos, Nutiva Organic Hemp Protein Powder + Fiber, 16-Ounce Jars (Pack of 2) is easily available to me for drop shipping. As of this writ, the unit cost is lower than what is offered locally here in Los Angeles. I also recommend Living Harvest Hemp Milk. This is sold, by way, at Amazon.com but the unit cost is not competitive with local prices here in L.A. Check your local listings. You can try the sweetened version first but eventually go for the unsweetened version. You can sweeten this milk manually with, say, agave nectar. The bulk ingredient in both spaghetti sauce and salsa is tomatoes. Tomatoes have an acidifying effect on the blood stream—this applies to the big, juicy ones (not the little cherry ones). Like flashlight-sized bananas, tomatoes were altered by brilliant minds to be sold as giant baseballs of acid and starch. Big juicy tomatoes represent American post-war prosperity so I don’t expect many of you pizza-eaters to give these up—even after you go to Italy and ask for a pizza in the wrong neighborhood. 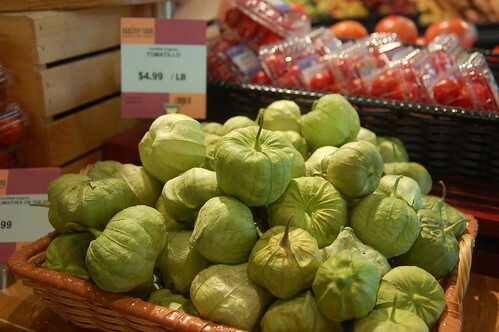 Tomatillos are indigenous, native-American food. I am having trouble finding organic tomatillos. My guess is that the papery husk that grows around the green flesh is hard to keep pest free. I have succumbed to the temptation to go barrio-market style and get canned tomatillos—but these are often packed in “regular” tomato sauce. I’m still working the problem here… but the goal is to have a reliable salsa and spaghetti sauce. There is a correlation between domesticated rice and an acidifying effect on the blood stream. Here in the Los Angeles area, I am under the assumption that organic, wild rice is $10 to $11 per pound! So it is understandable how a mother of many hungry babies would find ways to justify buying cheaper rice. As of this writing, Amazon.com cannot beat this unit cost, by the way. Today Trader Joes sells wild rice for less than half the price I’m quoting—but this rice is not organic. And let’s review what “organic” means in the context of eating bulk amounts. The way most pesticides kill, I’m told, is by substances regarded by our bodies as neurotoxins—these toxins kill little bugs but do not immediately harm humans. So this is to me a matter of proportions. We might get away with eating small amounts of toxins—but eating a big bowl of “conventional” corn flakes or rice reduces the odds in my gambling book.